FOR many years, we retracted into our shell and seldom voiced our opinion on world affairs for f ear that this could invite reprisals. As a nation, we played it safe. But last week, things started to change. We have started to reclaim our voice in the international arena, especially in making our views heard on matters pertaining to international justice. 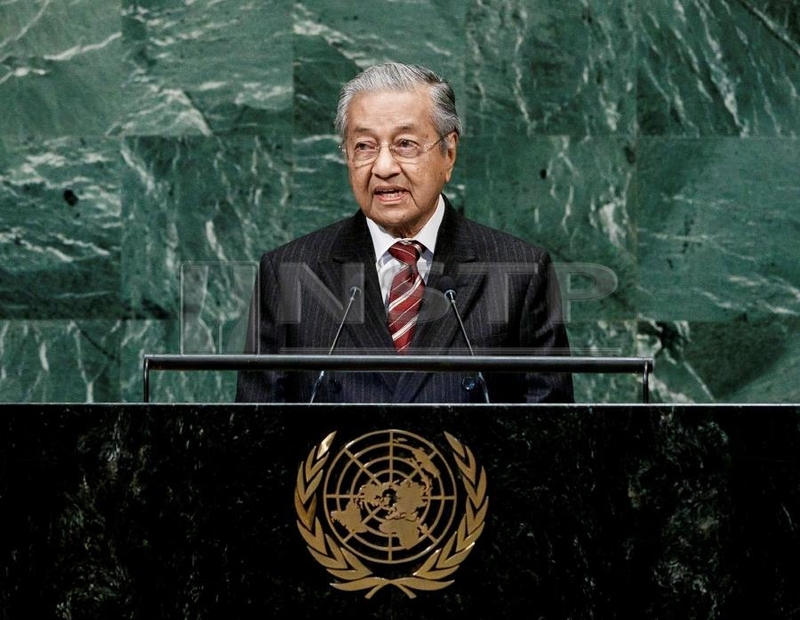 The act of reclaiming our voice was done by Prime Minister Tun Dr Mahathir Mohamad when he addressed the United Nations General Assembly in New York. It was vintage Dr Mahathir. He started slowly, setting the pace as he took to task powerful countries which did nothing to help smaller countries with limited resources. The last time Dr Mahathir spoke at the United Nations was in 2003, and he noticed that nothing much has changed in the world. He took up the cause of the Palestinian people, a matter close to his heart. “The world does not care even when Israel breaks international laws, seizing ships carrying medicines, food and building materials in international waters,” he said. Dr Mahathir’s comments on international issues have been consistent throughout the years. He took his views a step further when, in 2007, he formed the Kuala Lumpur War Crimes Tribunal, which adjudged former United States president George W. Bush and former United Kingdom prime minister Tony Blair guilty of crimes against peace and humanity, and genocide for their roles in the Iraqi invasion. True to form, Dr Mahathir does not run away from tough questions. Appearing on BBC’s HARDTalk in London, he gave frank answers to what was thrown at him. A vintage performance, again. This article was first published on Oct 7. It is reproduced today because of a technical glitch that resulted in errors in the initial story.